On Friday I met up with a new crafty, upcycling peep... Judy from Upcycle That. 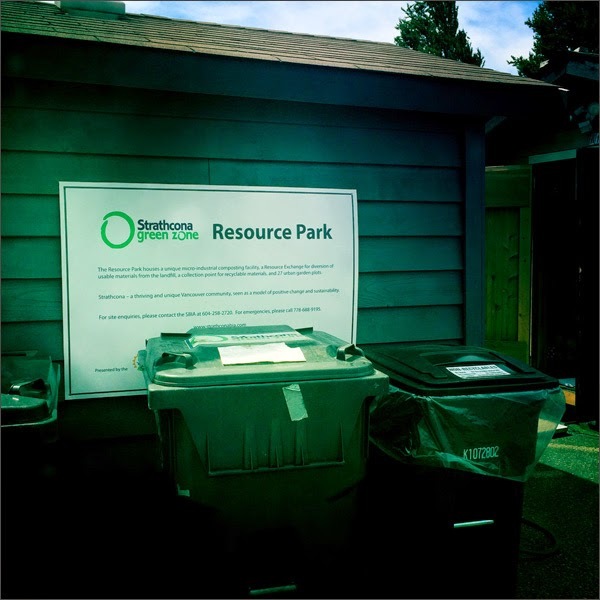 We went on an adventure to the Strathcona Business Improvement Association's Resource Exchange. 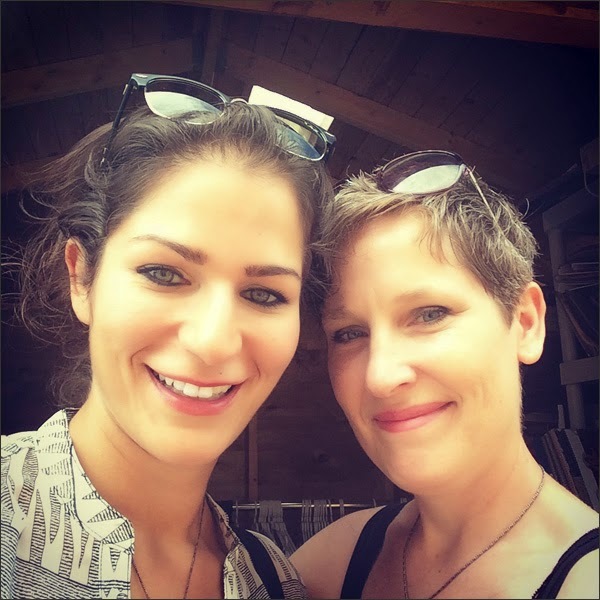 I needed burlap for my upcycling workshop in September and she had never been there. 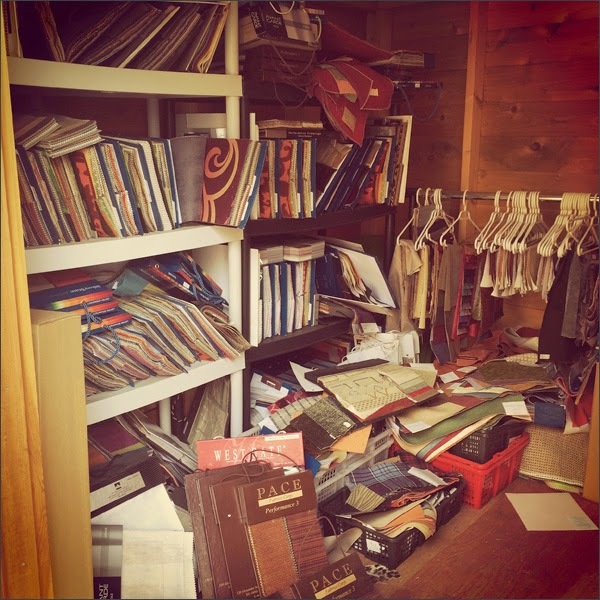 The Resource Exchange is the perfect spot for finding upcycling supplies for free. It's a win win! 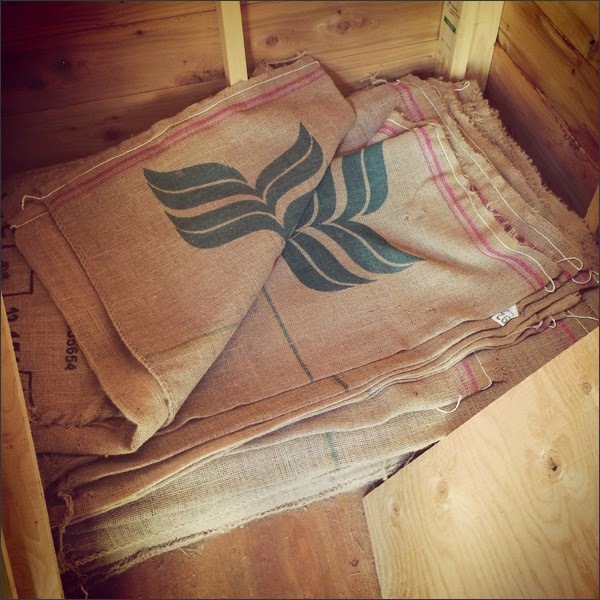 And here's their stash of burlap sacks. I grabbed a few for an upcycling workshop I have in September at the North Vancouver City Library as part of Culture Days. One of the upcycling projects is making garlands. These are perfect! I also grabbed more fabric samples... They have TONS! Then we trekked a bit more around Strathcona. Such a great area of town with loads of neat stores to check out. 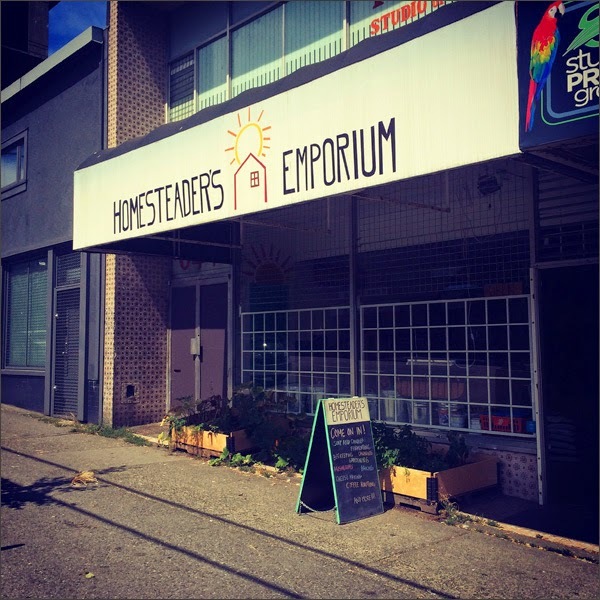 Like Homesteader's Emporium... Rick opened Homesteader's Emporium a couple of years ago. 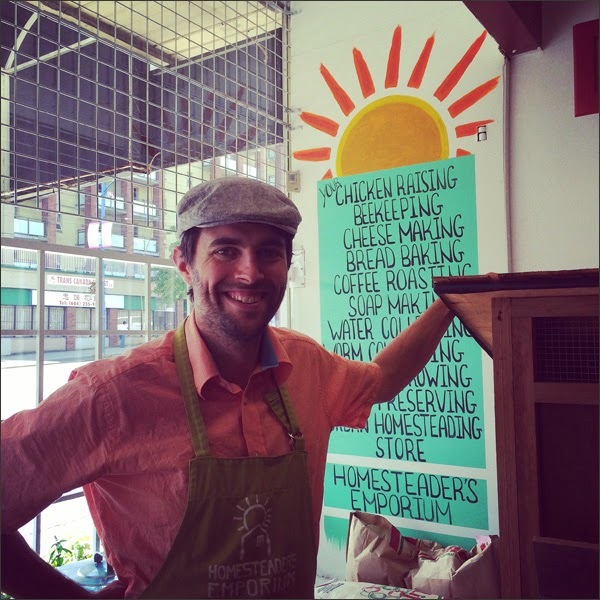 You can buy your homesteading supplies here for raising chickens, urban gardening, canning and more. Plus they host workshops. Such a FAB place and Rick is pretty kewl. Here's Rick... I'm definitely signing up for a workshop in the Fall. 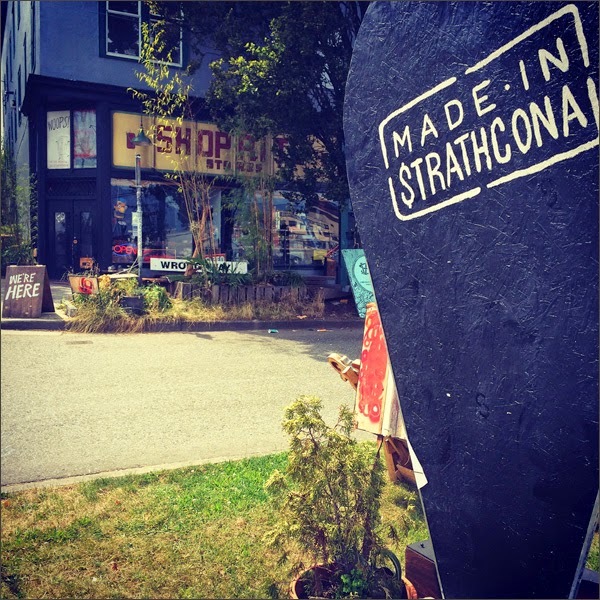 And that was my quick jaunt in Strathcona on Friday... Hanging out with crafty peeps, picking up free stuff to repurpose and making new friends. A very fun afternoon!